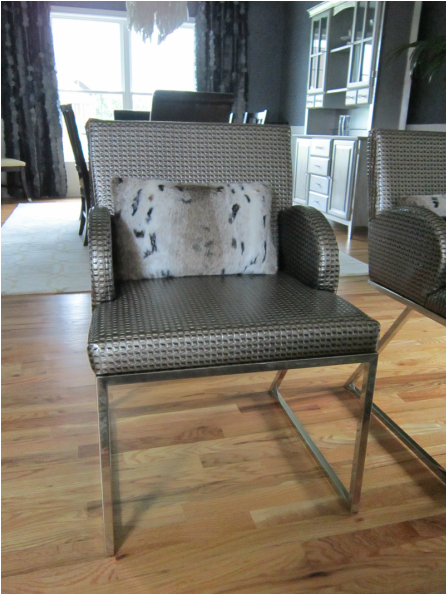 Amazing Christopher Guy chair, custom made to Betsy's specifications. 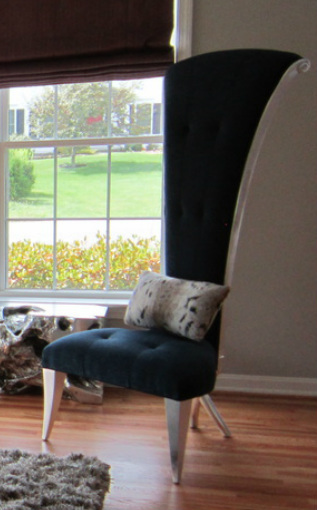 We affectionately refer to it as "THE" chair. The back is as svelte as the front. Yes, it is as tall as it looks. Taller, in fact. The fun is often in the details. 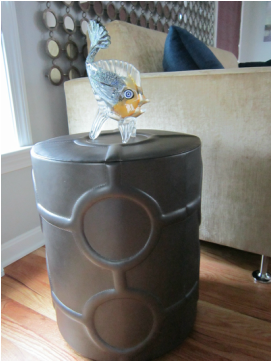 A glass fish sits whimsically atop a leather wrapped, embossed side table. 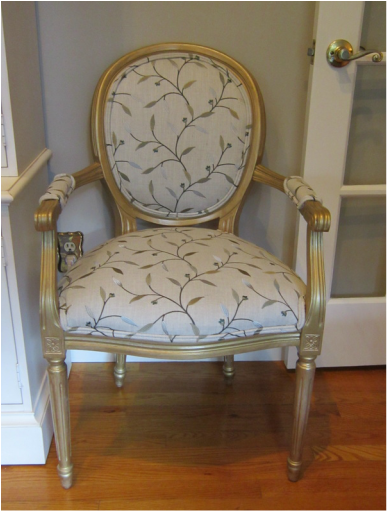 A perfectly lovely white chair had an appointment with an upholsterer and this was the delicious result. 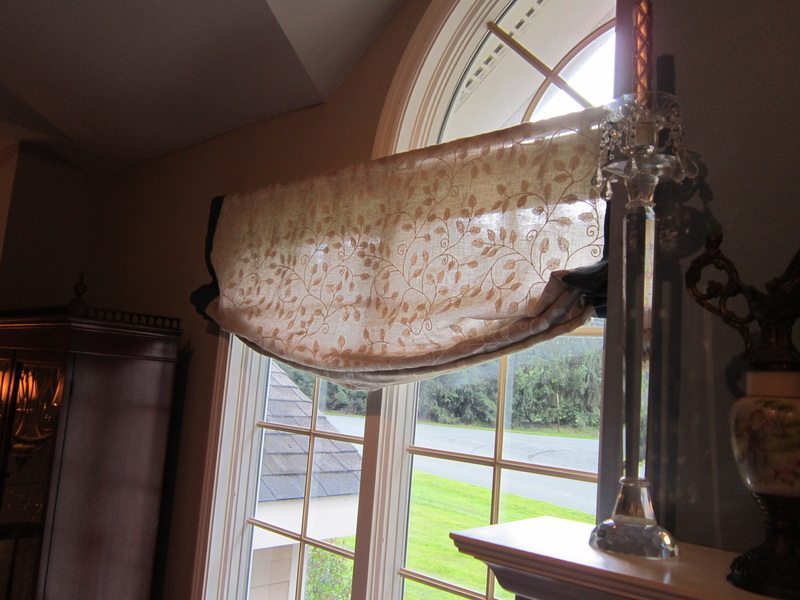 And it is oh so chic with the addition of a funky pillow. 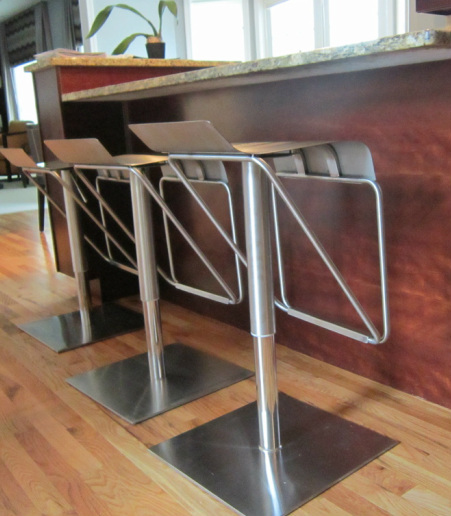 Traditional stools were replaced with these contemporary beauties from Zuo Modern. 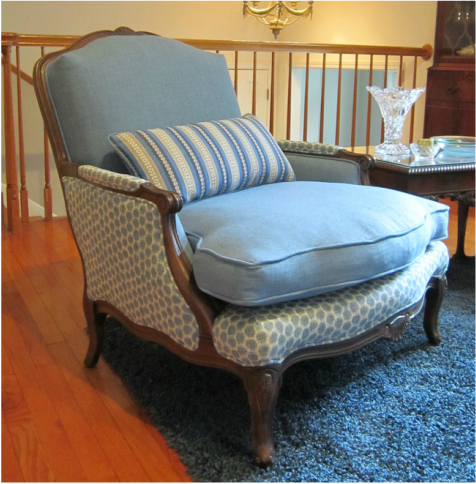 Well loved chairs for many years were given new life with custom upholstery.